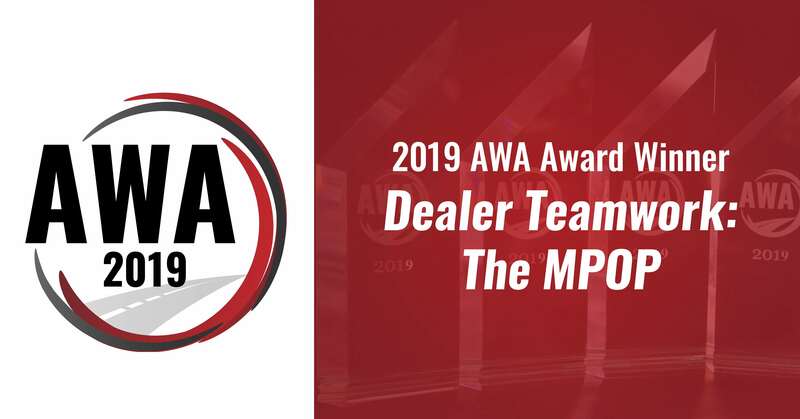 EDEN PRAIRIE, Minn. – Feb. 1, 2019 – PRLog — Dealer Teamwork was thrilled to accept its third and most recent AWA Award for the patented MPOP® as Innovation Leader in Digital Marketing. The MPOP®, a Merchandising Personalization, and Optimization Platform allows dealerships to merchandise their inventory with transactional data. This platform automatically optimizes content for search engines like Google and Bing, while syndicating it in real-time to all linked marketing channels including landing pages, paid search, email campaigns and social media. 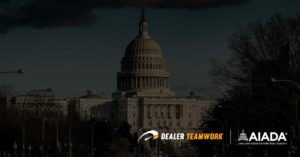 The MPOP® was recognized this time for enhancements to the product including UTM tags, reporting upgrades, additional options for dealers to drive traffic to their own websites and more. 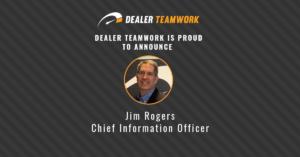 Dealer Teamwork is one of the fastest growing S.a.a.S. companies creating first-class solutions for the retail automotive industry. 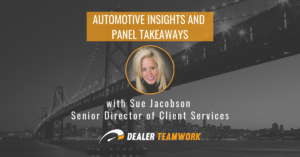 Dealer Teamwork created the automotive industry’s first MPOP®, a patented Merchandising, Personalization, and Optimization Platform. The platform creates a significant competitive advantage for dealers by distributing their transactional data to more in-market shoppers effectively and efficiently. 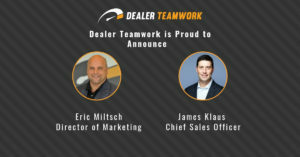 For more information please visit DealerTeamwork.com or visit Dealer Teamwork’s FAQ. For more information on the AWA Awards, please visit http://awa.autos/.